Drawing on historical, literary and cultural studies perspectives, this book examines the phenomenon of the “Returned Yank” in the cultural imagination, taking as its point of departure the most exhaustively discussed Returned Yank narrative, The Quiet Man (dir. John Ford, 1952). 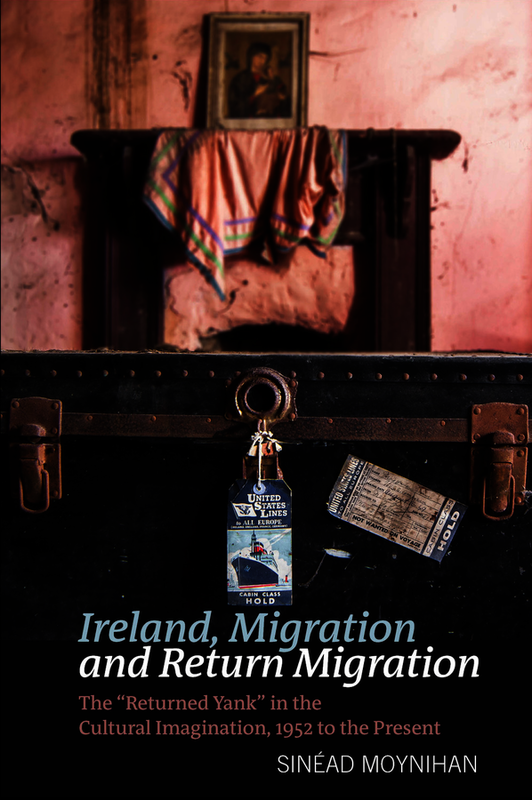 Often dismissed as a figure that embodies the sentimentality and nostalgia of Irish America writ large, this study argues that the Returned Yank’s role in the Irish cultural imagination is much more varied and complex than this simplistic construction allows. Throughout the twentieth century and into the twenty-first, s/he has been widely discussed in broadcast and print media, and depicted in plays, novels, short stories and films. The imagined figure of the Returned Yank has been the driving impetus behind some of Ireland's most well-known touristic endeavours and festivals. In the form of U.S. Presidential visits, s/he has repeatedly been the catalyst for questions surrounding Irish identity. Most significantly, s/he has been mobilised as an arbiter in one of the most important debates in post-Independence Ireland: should Ireland remain a "traditional" society or should it seek to modernise? His/her repeated appearances in Irish literature and culture after 1952 – in remarkably heterogeneous, often very sophisticated ways – refute claims of the “aesthetic caution” of Irish writers, dramatists and filmmakers responding to the tradition/modernity debate. Sinéad Moynihan is Senior Lecturer in Twentieth-Century Literature at the University of Exeter. She is author of “Other People’s Diasporas”: Negotiating Race in Contemporary Irish and Irish-American Culture (Syracuse University Press, 2013) and Passing into the Present: Contemporary American Fiction of Racial and Gender Passing (Manchester University Press, 2010).